This is a project for Applied Ergonomics Method class. Our client is Cornell Vet School Diagnostics Lab, and we are creating a ergonomics report and recommendation to support better user experience in the lab space. 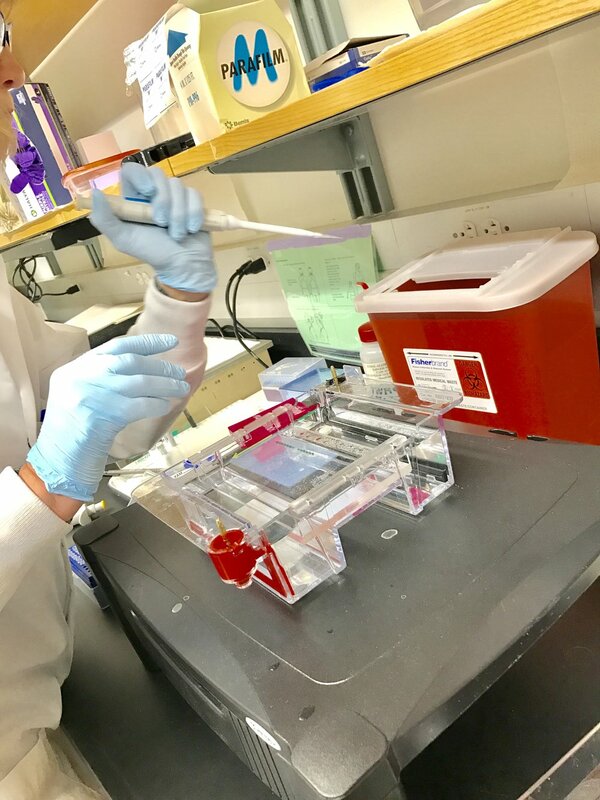 The Molecular Diagnostic Laboratory, a sector of Cornell Vet School, provides a wide range of animal pathogens using molecular based methods, such as conventional and quantitative PCR and restriction digestion analysis. 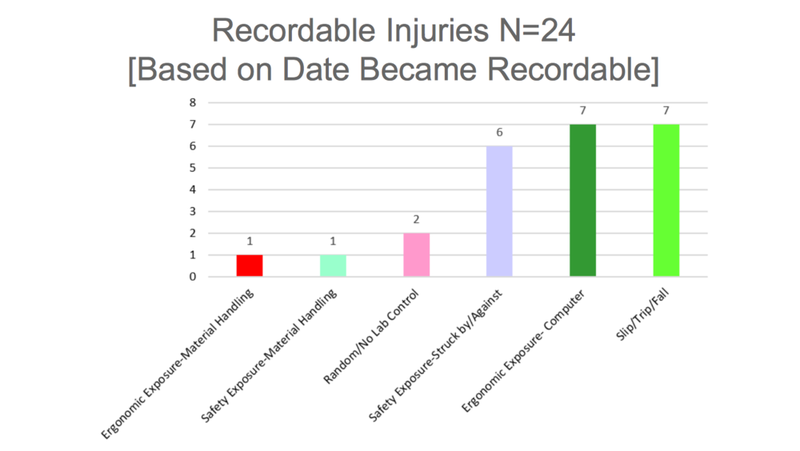 Key Insights: Slip/Trip/Fall injuries happened the most in Lab spaces, and Computer related works was ranked the second. Which shifts our focus to the spatial arrangement, and flooring materials in the diagnostics lab. We've sent the questionnaire to researchers in the lab, and received 80% responses back. From the questionnaire, we found out that researchers were pretty happy with their current working environment. However, most of them complained about the noise and the repetitive using of experiment equipment, and suffered from upper back and arm injuries. We've realized that there's a gap between what users want and what they really need from both interview and observation. For example, The researchers didn't realize that their bad standing gesture was actually result from the position of lighting. Copyright © Jiaming Zhang 2017. All rights reserved.